Oooohhh Yeeeaaahh!! It's here and its on!! 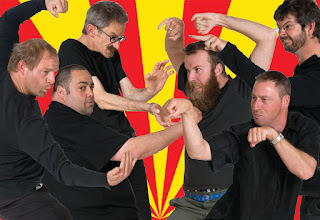 We're half way through the season of Improv Cage Match and I've got a few words for some of my 'competitors'. Mostly, DON'T BOTHER! You pencil necks really think you're funnier than me? You will soon see that Kenny "The Kong" King will reign supreme! Let's take you apart one at a time, shall we? Firstly, that scrawny wing-nut "Howling" Ian Harcourt. I've seen more funny on an Inland Revenue refund form! Your time has come and gone, old man. It's time to roll over and let the new generation show you how it's done. Your old school is LAME!! As for that buddy of yours "Gargantuan" Greg Ellis. The only thing gargantuan about this clown is how much of a clown he really is. And I don't mean that in a good way! Go back to teaching theatresports games to 13 year old girls, cause that's where you belong!! And on your way you can take Richard "Flying Fists" Faulkner with you. He makes a morgue look like Comedy Central. Last week he tried to do as many games as he could inside the squared circle and nearly killed everyone with boredom! Oh, and I see Deana Elvins has come crawling back after taking time out to have some babies. You're out of practice, lady, and out of your depth! Well, that about takes care of the "Old Guard", now what about the young bucks who think they can front up and usurp my rightful position as King of Cage Match. Jimmy "O, Dear" O'Donovan, I believe, is still pooping yellow and I'm pretty sure I heard him crying for his mummy after we last met. Do us all a favour, kid, and just stay home. Jonothan "Pretty Boy" Price, do you really want me to rearrange those pretty comedy values you hold so dear? Cause that's what's going to happen if you keep pushing, boy! Gareth "The Rage" Ruck, and "The Tank" Pete Doile, you guys don't even warrant a mention! I know my loyal "Konginators" will be rolling up to Circa every Sunday night at 7.30pm until the 7th October to watch me, their hero, annihilate this so called competition and become the true King of Cage Match. I'm sure there are also a legion of fans out there who want to support me, Kenny "The Kong" King but just don't know how. It's easy, just rock up to Circa and purchase a ticket. If you want, you can make banners, signs or just through money at me. So if you want a night to remember come along and watch me tear these pretenders a new one. A word of warning though, if you want to sit in the front row you may want to wear a rain coat as some people have come away splattered with my talent. It tastes awesome but it may stain clothes! 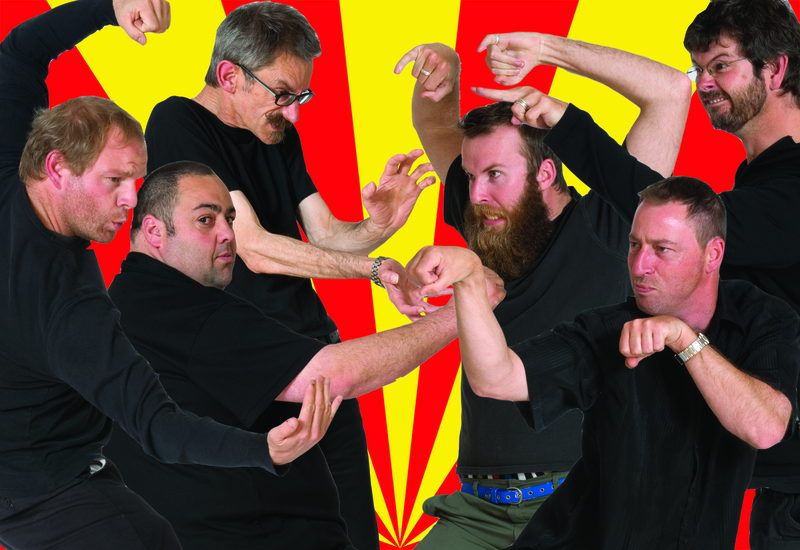 Improv Cage Match is every Sunday night at 7.30pm until 7 October, to book call the Circa Box Office on 801-7992 or go online www.circa.co.nz. Clybourne Park: Who is Bruce Norris?